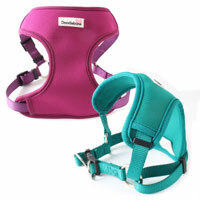 The Boomerang Dog Harness by Doodlebone is perfect for dogs who don't like harnesses that go over their head. 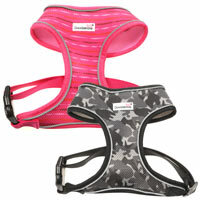 Boomerang is an easy to fit, step-in dog harness. 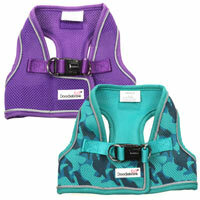 The unique design is secure, safe and comfortable for your dog. Made from a padded air-mesh fabric and securely stitched down the centre with webbing for extra security. 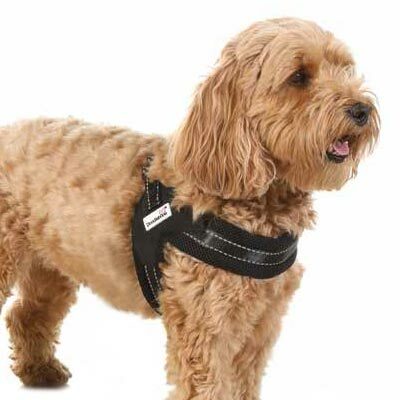 Reflective stitching will help your dog stay safe and seen in low light conditions. The secure buckle clip is robust and reliable. 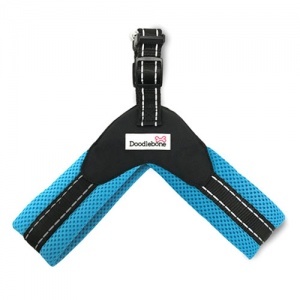 The harness also features double D-ring lead attachments. 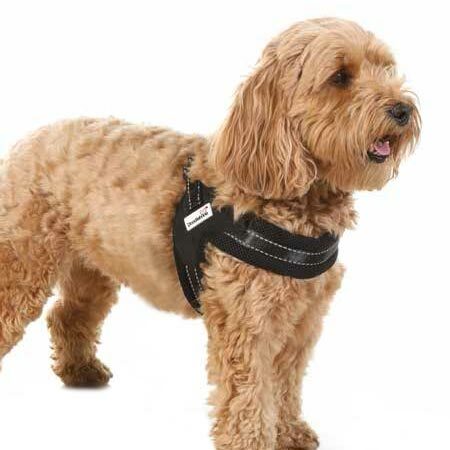 Attach your dog's lead to both of the D-rings for extra security, even if the buckle fails. Woof! Machine washable and comes with the usual Doodlebone lifetime guarantee. 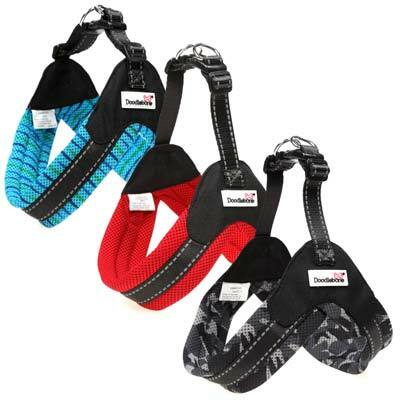 Available in 4 sizes for small to medium dogs. Measure your dog's girth (just behind their front legs) and refer to the size guide below. 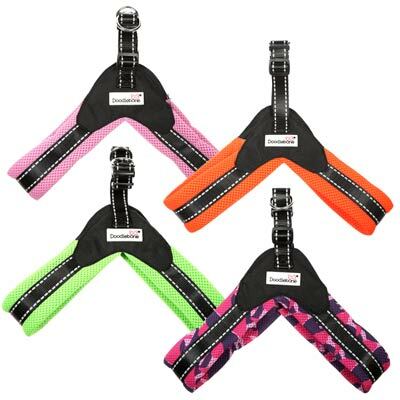 Please note that there is limited girth adjustment in these harnesses so we advise measuring a few times to get an accurate final measurement.